Thanks to Twitter and Facebook, Canadians are now getting a second-by-second update by the festival. Sadly, it isn't about the movies, the directors or even the actors. Instead, social media has translated TIFF into a 10-day brag-fest. We're only a few days into the Toronto International Film Festival and I'm already exhausted. The parties, the red carpets, the celebrity encounters. It's absolutely draining. Oh, maybe I should clarify that I'm still in Calgary, I'm mostly just tired of hearing about the festival from Canadian media outlets, since they all seem to have given up on talking about the actual movies at the festival. It's not that that I don't think that TIFF is important. On the contrary, I can't think of a more influential festival in the entire country. (Sorry Bacon Fest.) But this time around, the original excitement of the festival definitely isn't translating across the country. Having grown up in New Brunswick, with a quick stop over in Toronto and now calling Calgary home, I can tell you that outside of the 416 and 647 area codes, people really aren't that interested in the world-renowned festival anymore. And can you really blame them? Thanks to Twitter and Facebook, Canadians are now getting a second-by-second update by the festival. Sadly, it isn't about the movies, the directors or even the actors. Instead, social media has translated TIFF into a 10-day brag-fest. TV personalities, journalists and bloggers spend their days boasting about the cool celebrities that they are hanging out with, the pricey swag they got at parties, the open bars and sending out tweets about what kind of coffee Stacy Keibler just ordered. If your profession has afforded you these luxuries, chances are the average Canadian doesn't want to hear about it. If I had a friend who randomly ran into Ryan Gosling in the street and they ended up talking about The Red Green Show -- that is cool, they can tweet about that. But if you work for media outlet and you stood on the red carpet for three hours to talk to him for 30 seconds, because you were next in line, yeah, that's not cool, that's your job. It may seem like I'm grumpy (and a little jealous) but for the past few days, all I've read are tweets that start with, "I just chatted with to so and so." Like they've been friends for years, when what they really mean is, "Their publicist gave me the opportunity to ask three pre-approved questions." It just feels so inauthentic. Judging from the amount of people I've had to unfollow this week, those attending TIFF have lost touch what initially made this festival so successful. For a while, it seemed like TIFF was a place for movies, big and small, to find a receptive and appreciative audience. Some would go on to win Oscars, others would develop a cult following. Either way, we were just happy to have them debut in our country. 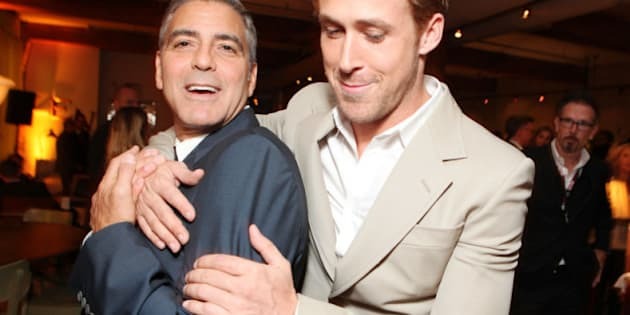 TIFF was a place where celebrities could feel welcome and a little adored. It was all very Canadian and I loved it. However with all this bragging and showboating, the Canadian festival, all of a sudden feels like anything but. Mike Morrison is based in Calgary and writes Mike's Bloggity Blog. You can follow him on Twitter.